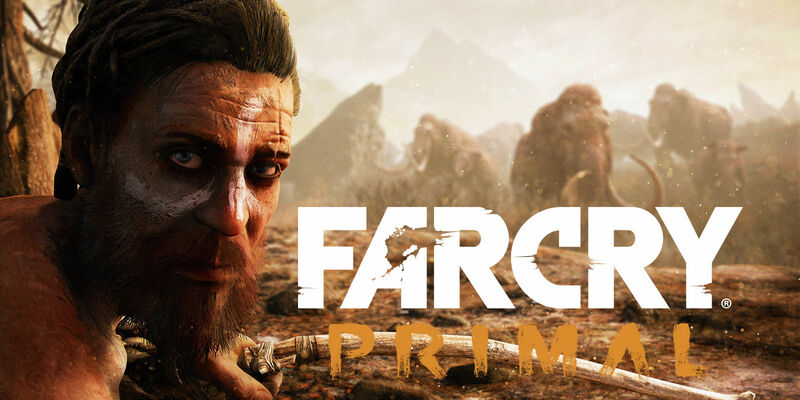 Far Cry Primal, the latest in one of my favorite series' takes players back to the stone age. It's an era of history I've always wanted to play in. When I first came across news of the game, I devoured any media relating to it. I've seen every developer diary and all the trailers. The crafting system, collaborative hunting and the plethora of prehistoric wildlife are a big draw, but I've got a few qualms to deal with before I can really commit to the world they've created. Look, I know that there are certain concessions that have to made concerning historical accuracy when making a game, especially a fast-paced FPS. 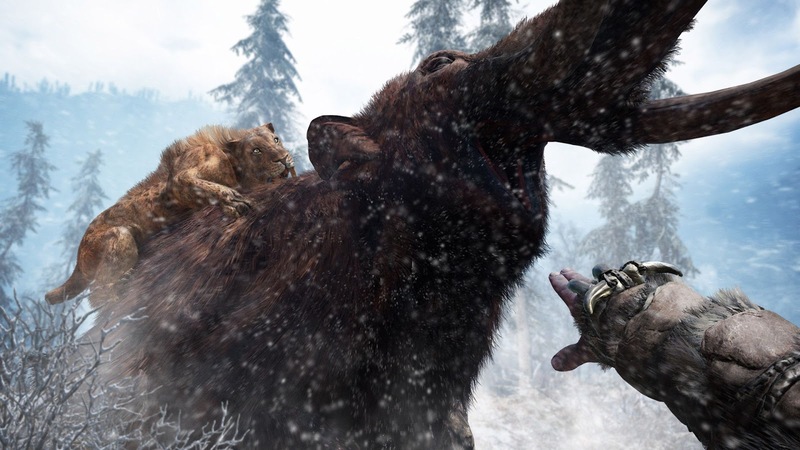 Primal employs a companion system allowing you to call on various creatures to help you in combat and hunting. These vary from wolves and wild dogs to smilodons (AKA sabre tooth tigers) and cave bears. I like this and I do think it is cool, but the idea of being able to tame a wild animal just by throwing a piece of meat and shushing at it seems ridiculous. I think it trivializes a very important part of human history. The domestication of animals was and is a laborious and difficult thing that takes generations of work to accomplish. And while we have become very good at it now, I don't think there is any evidence in the fossil record to support the domestication of bears and large cats. 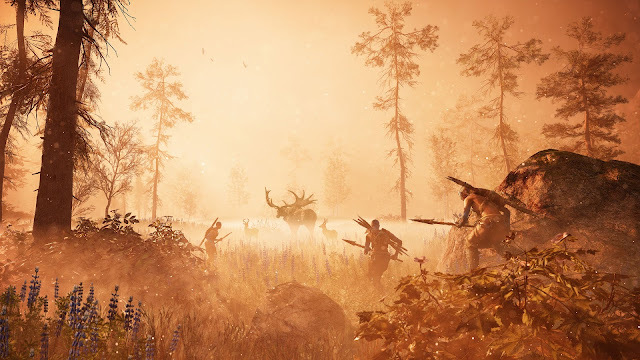 This though, I can forgive to some extent; it's meant to provide some situational variety, something that has been a core of the franchise's gameplay since Far Cry 2. Speeding up the process keeps gameplay moving and prevents bogging the player down in a lot of mini-game mechanics. It had to be done, I suppose. There is also an owl in Primal. Now, this owl appears to be absolutely huge, about as large as a human. As imposing a sight as it is, there is no known owl, alive or extinct that was ever that big. The largest known owl was Ornimegalonyx at about 3 feet tall and likely incapable of sustained flight. I can write it off to an extent, assuming that its some undiscovered species of owl. As a reconnaissance tool, the owl is interesting and dynamic, if a bit gimmicky, but it looks great seems fun to use. This reaction was all before I saw the owl drop a bomb. That is when I threw my hands up. Now, hold on a tick. I can understand and even accept a number of these things because they fill in mechanic gaps from previous games. But the bomb dropping owl fills no such gap. It feels like a tacked on bit of fluff mentioned in a meeting "wouldn't it be so cool if..." I know many people think it's neat, but aside from being downright ludicrous, I think it is potentially damaging to the gameplay experience. Providing the player a way to bombard enemies from above removes any stakes or risk from the player altogether. Personally, I think Primal is a great opportunity to get back to the things that were so good about Far Cry 2. It is time that we stop coddling the player so much. The animals are hostile, so raise the stakes for taming them and make it possible to screw up during the taming process. Bring back weapon degradation, allowing you to only reuse arrows once or maybe not at all if you score a headshot or watch as your club or spear cracks and splinter over time. Finally, get rid of the map and instead highlight landmarks in the hunter's vision or force the player to find high ground and mark locations from there. If this sort of thing seems unworkable for a standard framework, consider these for an additional difficulty mode. Give the player the opportunity to step outside the standard tropes and really challenge themselves.